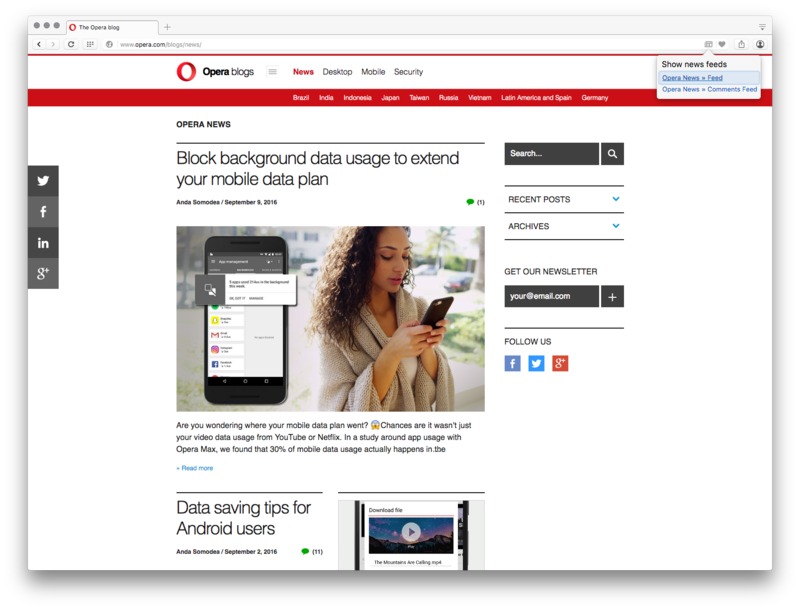 In today’s Opera developer release, we’ve got a number of new features for you. Have you ever wondered how much this new gizmo you see on foreign shopping site is in your local value? It’s easy now to answer this question with the new Opera feature – currency converter. 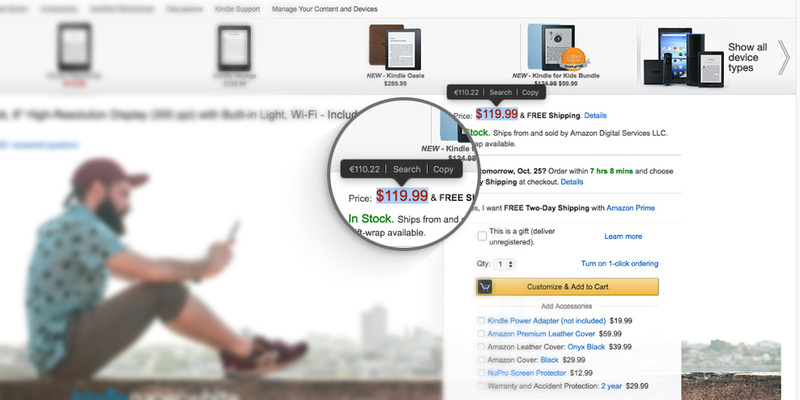 Our search popup has been upgraded with an automatic currency converter to the currency matched by your location. Just select the value with currency symbol (e.g. $10, 100 Kč) and check the value in the popup. It’s that easy – no need to search for exchange rate calculators online. We’re currently supporting 32 currencies from the European Central Bank. Known issues: the feature may not work straight away on a clean profile (after the first installation), so please restart the browser to see the feature in action. Sometimes, when you run an application for the first time, everything feels so new that you simply need some time to look around and get familiar with it. We’d like to make this first time experience as user-friendly as possible for our new users. That’s why we have decided to remove or delay displaying some information, pop-outs and hints. We’ve also provided a number of usability enhancements, for example the simplified bookmarks structure or a different logic for showing the sync and tab icons. But please keep in mind that two Operas on the system share the same profile. 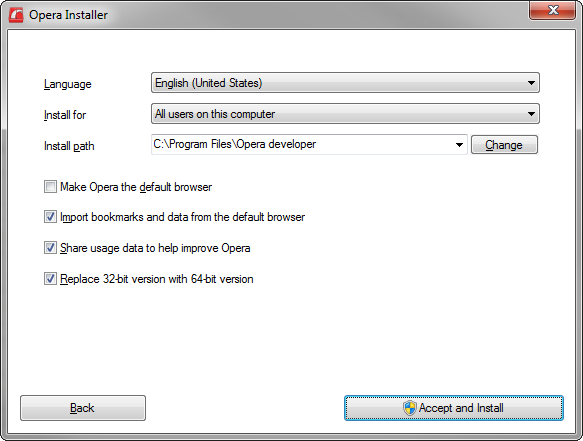 If you try to uninstall one of them, don’t remove “user data”, or the second Opera will start with the clean profile. In the latest developer version, you can also get a blue dot notification over the newspaper icon whenever there’s some new content in “My sources”. 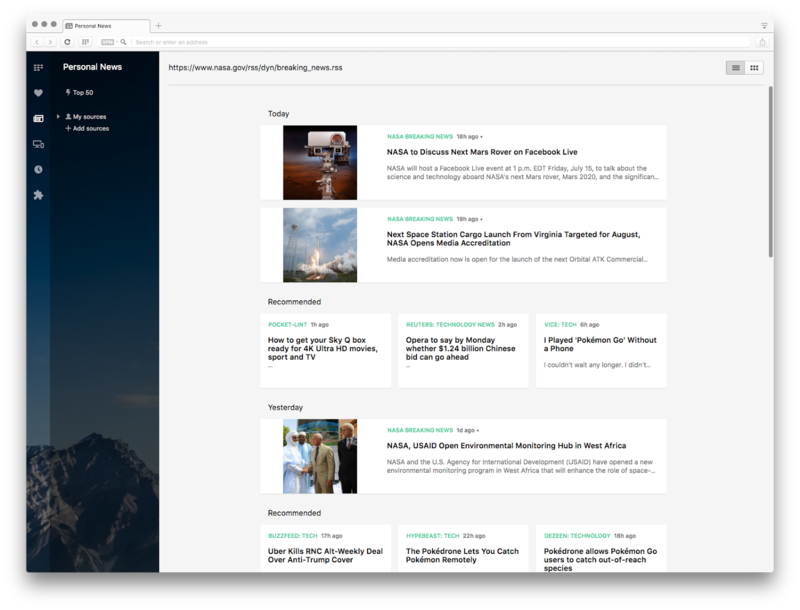 Discovering new articles works with sources from the catalog as well as the custom web feeds. In settings, you can configure how often the check is going to happen, or disable it completely if you don’t need it. With the push messages support, you can take advantage of the so called Push Notifications technique, which allows your website to send notifications to people even if they are not browsing your website at the moment. To find out more, check out the really nice description on the Google Developers blog. It’s a small yet useful change: now, you can configure your Speed Dial navigation bar by the context menu. Just right-click the sidebar and configure which menu items you want visible. The browser will crash when turning VPN on and off. We’re already working on this. 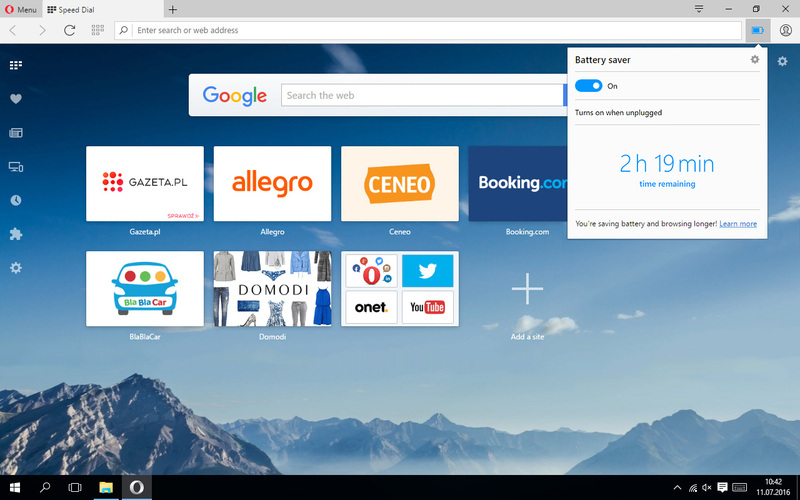 On Windows 10, it will be impossible to set the new Opera developer as default after the 32-bit to 64-bit switch. The workaround for now would be to uninstall the 32-bit version manually first and install the new version only then. 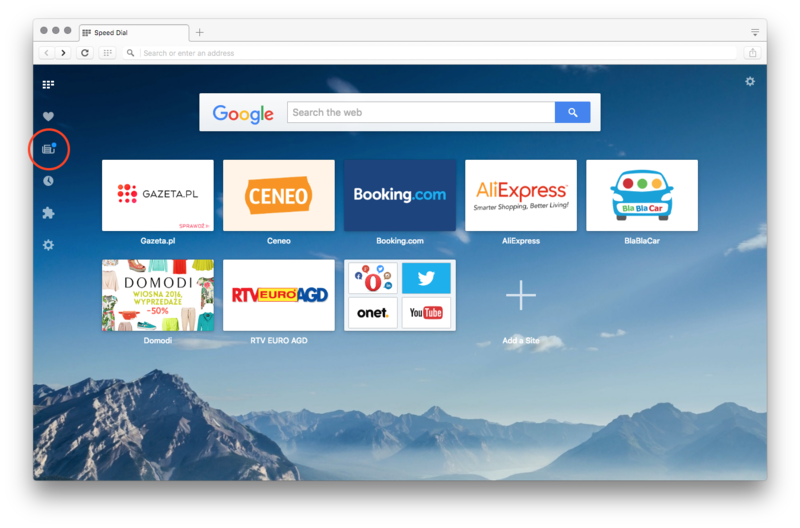 Chromium has been updated to the 55.0.2883.19 version.